Why make a DIY water filter? Well, it’s really not possible to overstate how important clean water is. Most people that live in a Western country tend to believe they have very clean water. However, tap water is not as safe and as clean as we think it might be. I explained this in detail in my 2,000+ word exposé looking at why tap water is not always the best option. 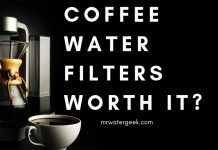 Unfortunately, despite the need for clean water sometimes it’s not always possible to use a filter. Maybe your filter cartridge has run out and you don’t have a spare one to hand? What if you’re out camping, hiking, mountain climbing and have an emergency and need to filter water yourself? Learning how to make your own DIY water filter can be a potential lifesaver. Or at the very least you’ll know how it works so that you’re better informed. 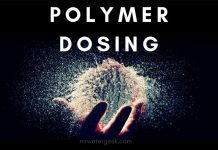 This article is a practical guide that will give you very simple and easy to follow steps on making your very own DIY water filter. By the end of this post you should be able to have the skills to never go without clean filtered water again – no matter your situation. 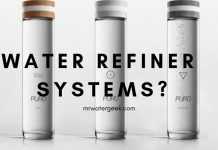 Why Make a DIY Water Filter? 5. Boil Your Water To Filter. This might seem very obvious but some might still question why they need DIY water filter making skills? Especially when it is so easy to buy a water filter these days and clean water seems plentiful. However, if you’re ever stuck in an emergency survival situation of life and death you will want to have these skills. Apart from survival there are some other good reasons why you should know how to create a DIY water filter at home or in the wild. 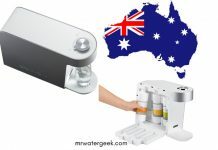 A DIY water filter is very likely to be more affordable than the traditionally available filters on the market. It allows you to create clean drinking water using basic materials that you can find in your garage. 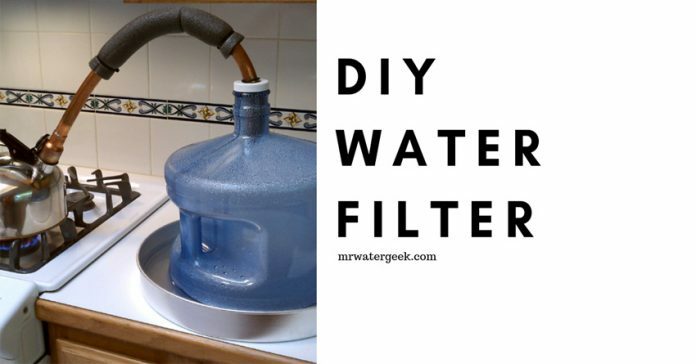 Having DIY water skills also gives you the freedom to design and customise your very own filter. This means you can have the most colorful and outrageous designs. Who knows you might even design something that could be the next big thing, just make sure you patent your designs! 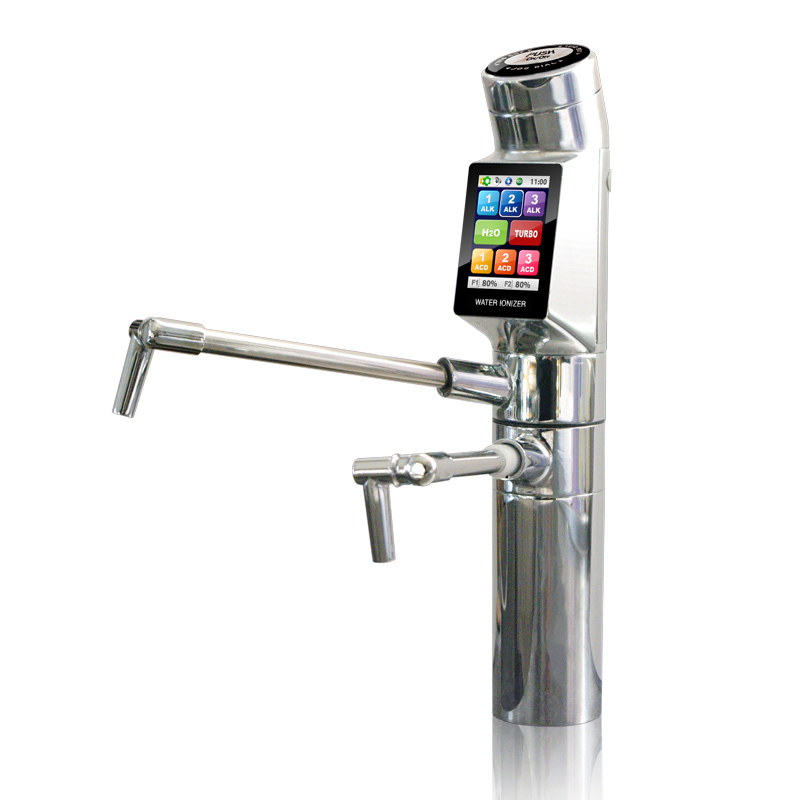 The other side of this of course is that you can upgrade and extend your water filter at any time. 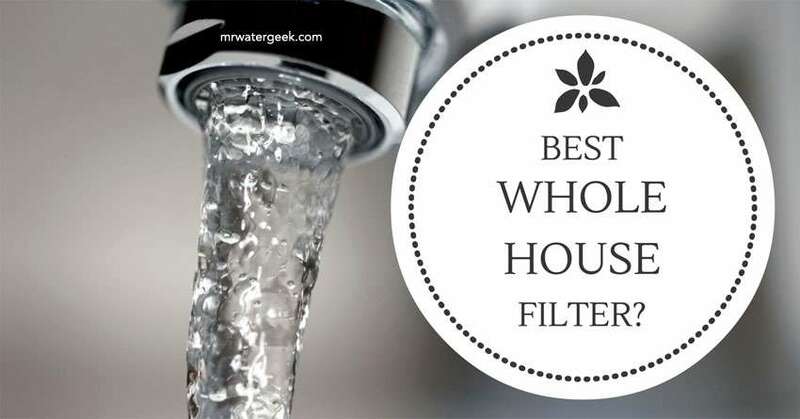 Finally, knowing how a water filter actually works means you can do cool things like fix your existing filter, upgrade or even customise it. There are many different ways to make a homemade DIY water filter but this article will only highlight a few. The only common thing with all of them is that they are easy to do and include materials you can easily find at home. A bio-filter is just as the name suggests; a filter made from natural biological materials. Making a bio-filter as a homemade filter works by using 3 simple layers of filtration. The layers include gravel, sand and activated charcoal – in that order. Each layer is designed to remove both particles and impurities. And is streamlined to filter water starting with the biggest filter materials (e.g. gravel) down to the finer particles and then the final purification with activated charcoal. A container that works like a funnel e.g. an empty water bottle with a hole in the cap. 1. Cut the bottom off a large water bottle or get a container that is in the shape of a funnel. And then turn this container upside down. 2. Now cut a large hole in the top of the container, it has to be big enough to pour all the materials that will filter your water. 3. Start with the bottom layer which is activated charcoal, then sand and gravel at the top. The gravel should be pebble-like rocks in order to act as a filter for things like particles and debris. For instance, sticks, leaves and maybe even small insects. Activated charcoal is one of the most effective ways to purify water and remove impurities. It is also good at filtering out harmful pathogens as well as chemicals that might be present in the water. 4. The next layer is the sand one, which is going to filter the smaller debris missed by the gravel layer. 5. Remember that there aren’t any hard and fast rules to setting these up and you can improvise slightly so long as the core materials are used. The core materials being gravel, sand, activated charcoal and a container to filter through this. Don’t forget to have a cup or basin underneath to catch all the clean filtered water. 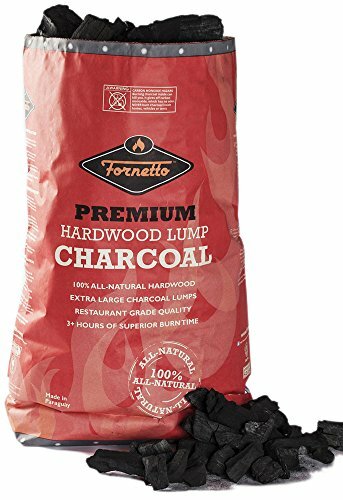 Charcoal is nothing more than burnt wood but comes “activated charcoal” by having the oxygen removed through a process of oxidation and/or processing by steam. However, the issue is how exactly do you do all this by yourself? For this DIY bio filter to work you must have activated charcoal but this is not something that you typically have lying around. So unless you always carry a batch of activated charcoal with you, this method might not be one that you can always rely on. This is essentially the bio-filter without gravel. 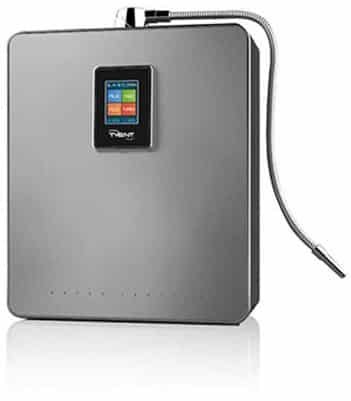 But the best part is that it also solves the main issue the bio-filter has because you don’t need activated charcoal. Instead of activated charcoal you will use good-old charcoal i.e. burnt wood. This is one of the best options if you’re outdoors and really do need to improvise with what is actually going to be available to you. However, just like the bio-filter, you’ll need extra layers before the charcoal to remove the larger impurities before the water gets to the charcoal. Make sure the charcoal is crushed into small granular pieces. 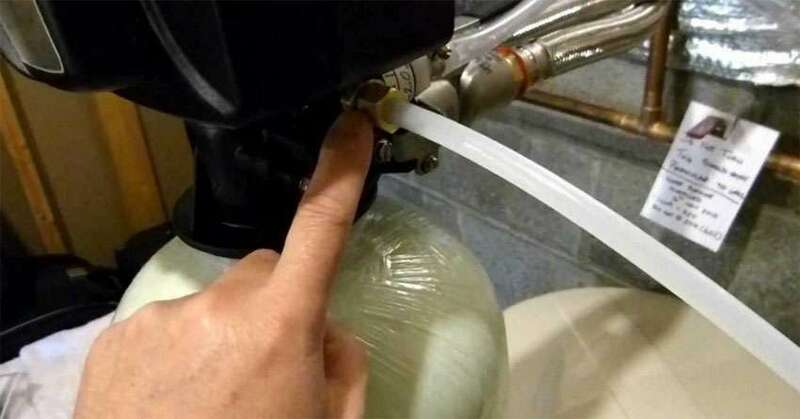 The charcoal is the main point of purification in this DIY water filter. The main issue to consider is that unlike water filtered with a bio-filter the improvised charcoal filter provides you with cloudy water. 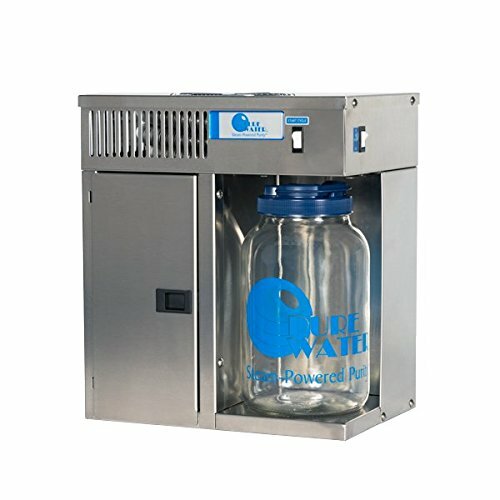 The cloudy filtered water it produces is NOT ready for drinking. You MUST boil it first. 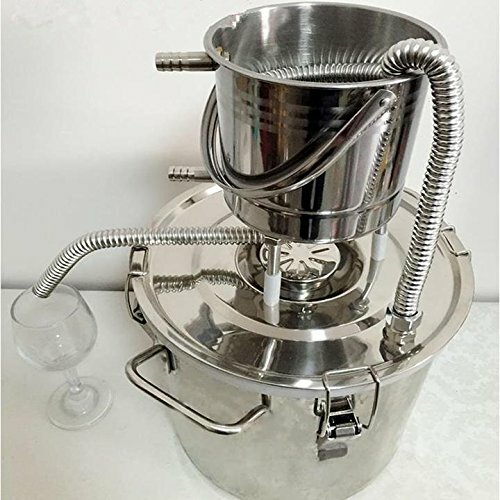 Knowing how to do a stove top distillation without any fancy equipment might one day come in handy. 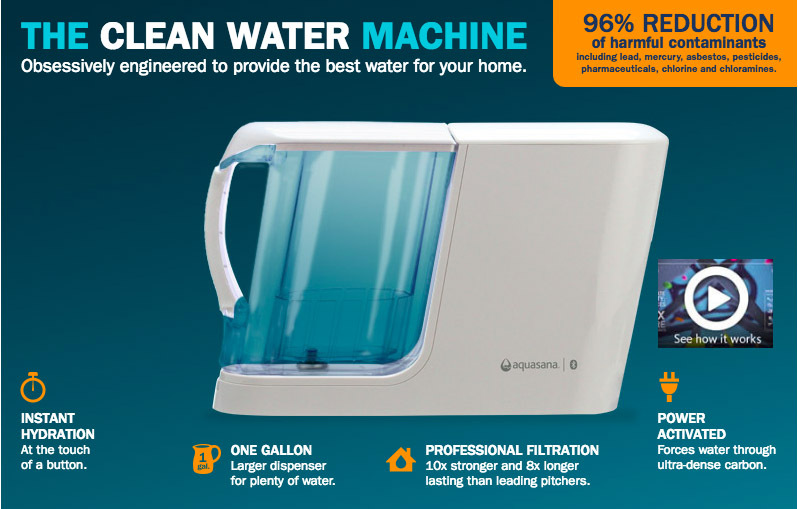 It is ideal if you have a baby and want to provide them with the purest clean water. Distilling the water means you remove everything from the water. The only things left behind are H and O, nothing else. Although this is a little but complicated, this method is capable of extracting the most harmful bacteria and pollutants from water. It is also your filter of choice if the only type of water you have is from a swamp. As the name suggests, this is using energy from the sun to filter your water. It is ideal when you’re in a situation where there is lots of sunlight. 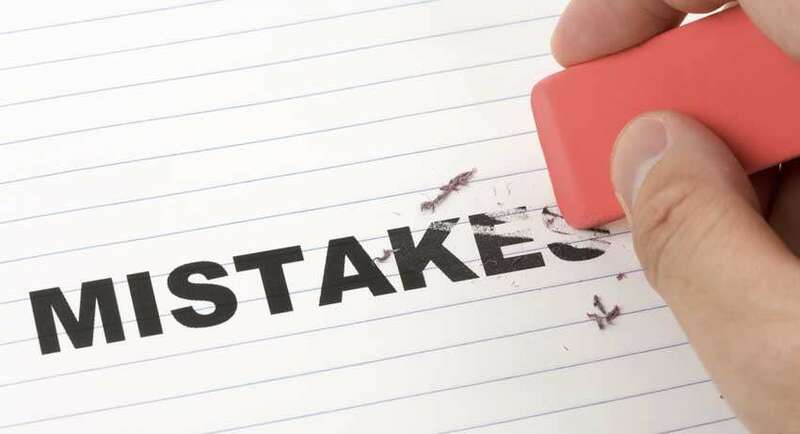 This is a great alternative to the other methods mentioned in this post so far. 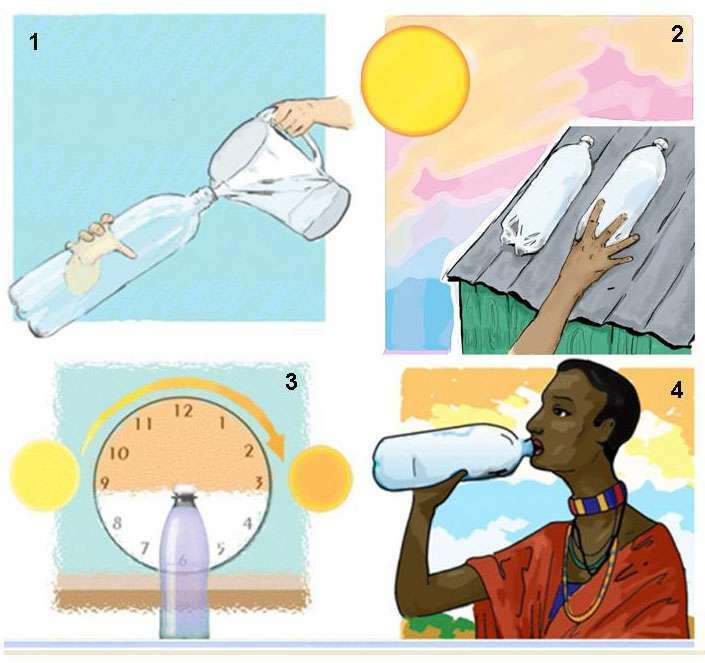 Solar Water Disinfection (SODIS) is also relatively easier and less complicated than the other methods because the sun does all the work for you. 1. Put the water you want to filter into the direct path of sunlight. 2. Leave the water for at least 2 hours before checking it to make sure the source is clear. 3. You now need to leave the water out for up to 2 days if the it still looks like cloudy liquid. 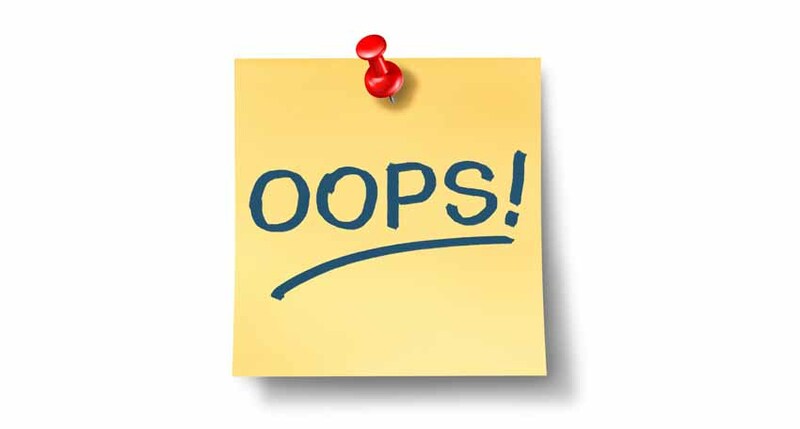 By far the biggest downside of the Solar Water Disinfection (SODIS) method is the amount of time it will take to work. This could be days depending on the water source. Also bear in mind that the final filtered water might not be completely pure and you may want to still boil it afterwards. This is still perhaps the most simple, effective yet most overlooked form of water purification. The main thing to consider when boiling is the amount of water you need to boil and how long to leave it for. It stands to reason that a larger pot of water needs a larger fire. But the best thing about boiling water is we all know what water that is boiling looks like. However, it is important that you remember to sustain the boiling temperature for 3 minutes. 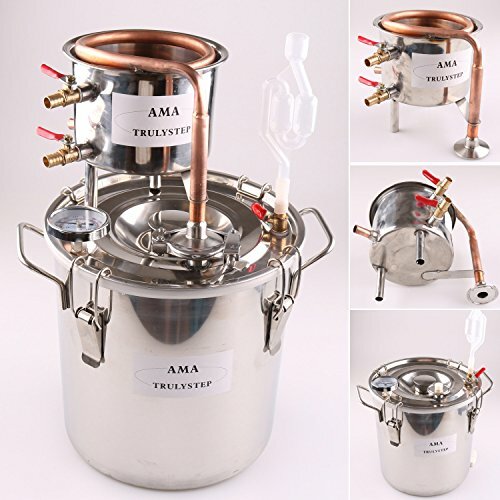 Boiling water does not remove very toxic substances like liquid contamination. This method also doesn’t remove particles or debris so you will need to pre-filter these out. DIY water filtration by boiling water is ideal if the water is already pretty clean and contaminant free but you just want to be sure. If the quality of the water is a big issue then you must use your discretion and consider adding extra precautions. None of these homemade DIY filter methods come with any sort of guarantee. Nor is there any guarantee that these methods will protect you against harmful bacteria and pathogens. 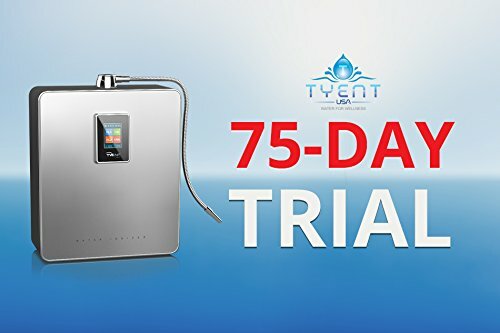 In the end, there are many methods that you can use to filter your water by yourself without any fancy machines or chemicals. But the truth is that they all have issues and don’t provide any guarantees. Meanwhile even the cheapest and most basic water filter jug will tell you when your water is filtered and safe to drink. Of all the DIY filter methods, boiling is one of the easiest and most effective but it still has its drawbacks. For instance, boiling water is not effective against mild to heavily contaminated water. 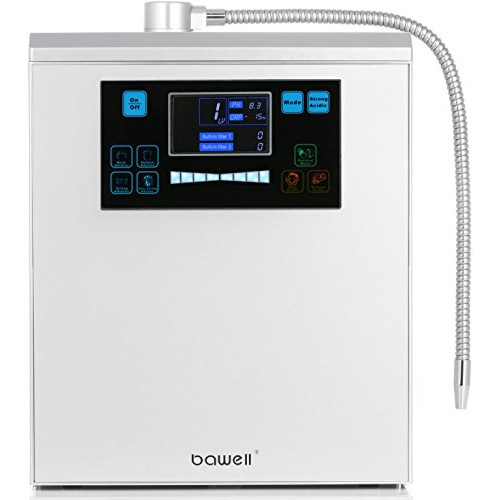 If you really take water cleanliness seriously then your best bet is to have a water filter device to hand. There are so many portable water filter options on the market that a small investment today means you’re covered for any eventuality. American Public Health Association (APHA) Standard Methods of Water and Wastewater. 18th ed. American Public Health Association, American Water Works Association, Water Environment Federation publication. APHA; Washington D.C: 1992. Wotton, R. S. (2002). 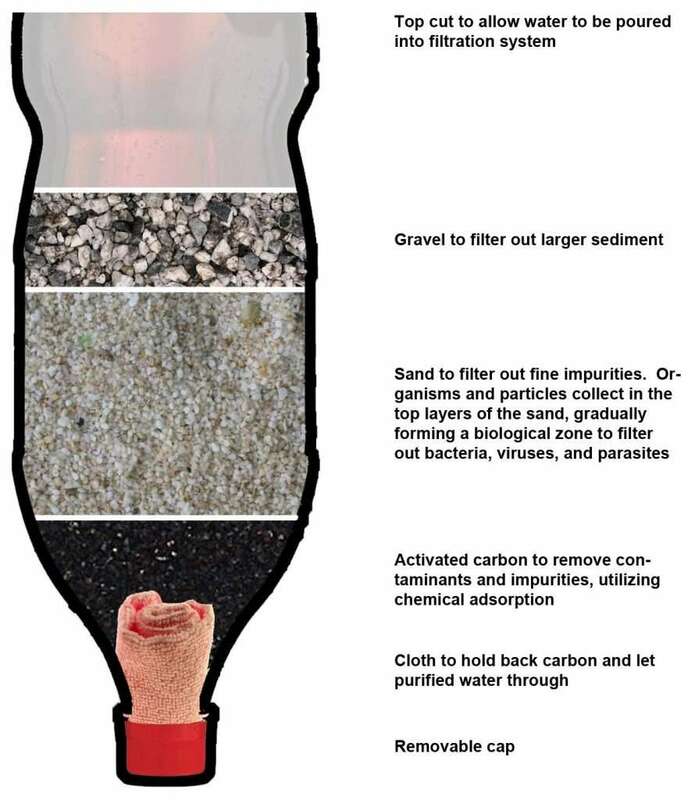 Water purification using sand. Hydrobiologia, 469 (1-3), 193-201. Fewster E, Mol A, Wiessent-Brandsma C. The Bio-sand Filter. Long term sustainability: userhabits and technical performance evaluated; Presentation given at the 2003 International Symposium on Household Technologies for Safe Water; 16–17 June, 2004; Nairobi, Kenya. Previous article19 Reasons Why Filter Water Everyday Till You Die…. Next articleWhy Is Drinking Salt Water Such A BiG PROBLEM?